After an initial presentation to select owners, the McLaren Senna is to make its public debut at the upcoming Geneva Motor Show. The first images of the car sparked a lot of debate regarding the look of the car, but now McLaren has released more detailed shots of the car, painted in a more flattering ‘Vision Victory’ grey hue. Looking through the claimed performance figures suggest that the McLaren Senna will be phenomenal to drive. It is built using the company’s carbon fibre Monocage III chassis and carbon fibre body panels, resulting in a total dry weight of 1,198kg. It is the lightest road car McLaren has produced since the legendary F1. 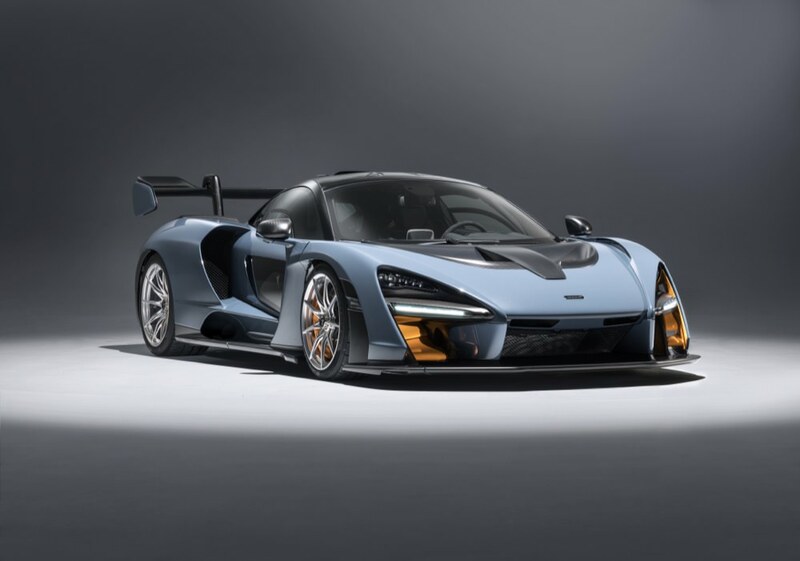 Powering the McLaren Senna is the M840TR engine, a 4.0-litre twin-turbocharged V8 with a total output of 800hp at 7,250rpm and 800Nm of torque from 5,500- to 6,700rpm. The high-performance engine uses an equally advanced exhausts system. Built from Inconel and titanium, it is tightly packed into the car’s engine bay and uses two valves leading into a triple-exit exhaust. In countries that do not have noise regulations, the Senna gets just two exhaust exits with the removal of the third exit along with its silencer box. The McLaren Senna will have a top speed of 340km/h (211mph) and is claimed to cover off the 0-100km/h sprint in just 2.8 seconds. You’ll need only 6.8 seconds to go from 0-200km/h. In addition to its 800hp and 800Nm, the Senna generates up to 800kg of downforce. That huge rear wing weighs just 4.87kg, yet is capable of supporting more than 100 times its weight in downforce. It takes McLaren around 300 hours to hand-build each Senna, with production capped at 500 units. The full allocation is already sold out. The final car sold for £2 million at auction, with the proceeds going to the Ayrton Senna Institute, a non-profit organisation that provides education for underprivileged children in Brazil.